With one-eighth of the 2016-17 NHL season in the book for the Calgary Flames, here's a look back at the month of October and some numbers that I found interesting. The NHL game continues to move away from fighting. With just one scrap in 10 games, Calgary is on pace to finish the season with eight. The franchise record for fewest fights was set last year when the team had 20 fighting majors, seven of them from Brandon Bollig, who is now playing on the fourth line in Stockton (AHL). The only other players with multiple scraps a year ago were Micheal Ferland (3), Deryk Engelland (2) and Dennis Wideman (2). That one fight this year from Engelland came 15 minutes into the season opener in Edmonton when he dropped the gloves with Milan Lucic. That came after the gloves were on the ice often in the preseason with Calgary involved in nine scraps in its seven games with Garnet Hathaway leading the way with three. I guess one can chalk up those heightened September numbers to guys literally fighting for NHL jobs. The team record for most fights in a season according to www.hockeyfights.com was 105, which was set in 1985-86 and then equaled in 1987-88. The individual leader both years was Tim Hunter with 22 each time. Calgary doesn't rank last though. Buffalo, New York Rangers, St. Louis, Carolina and the New York Islanders have yet to receive a major penalty. Nobody has lost more games on home ice than Calgary, which has already dropped four decisions at the Saddledome. For context, when the Flames won the Stanley Cup in 1988-89, they only dropped four games at home the entire season, going 32-4-4. Contributing to that 2-4-0 record at the Saddledome has been the team's chronic poor starts. They have trailed in the first period in each of the last five games. The only home game in which they never trailed in the first period was versus Edmonton on opening night when they peppered Cam Talbot for 24 shots in the opening 20 minutes, one shot off the franchise record. It's been pretty dismal since. Calgary can be a hard building to play in due to the altitude. 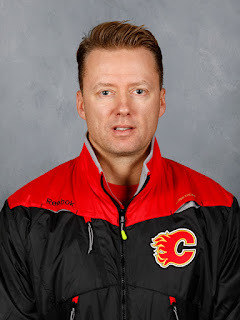 From his time as a visiting coach, Glen Gulutzan says it's noticeable when you arrive in Calgary. Wanting to make the Dome a much harder building to play in, he's implored his players to be ready to get after the visitors right away. However, too often it's been the opposite. Most recently, it was the Capitals taking an early 2-0 lead and not letting the Flames get back into it. It's never good when the eventual game-winning goal comes seven minutes into the game. The last time Calgary finished below .500 was 2002-03 and no, they didn't make the playoffs that year. Nor did they a year ago when they went 21-16-4. In the last decade, the Flames were at least 10 games above .500 in its playoff seasons so a significant turnaround is required. Sitting fifth in the NHL with a team face-off percentage of 51.9, this is uncharted territory for Calgary. Chronically poor at the dot, the Flames have finished bottom-five in each of the last five seasons and haven't climbed above 24th overall in the last seven years. Leading the way has been Matt Stajan at 55.1 percent. This is a huge improvement from his 47.3 percent a year ago. Impressively, all four of the club's regular centres are above .500 with Sam Bennett (51.8), Mikael Backlund (51.8) and Sean Monahan (51.7) all closely bunched together. 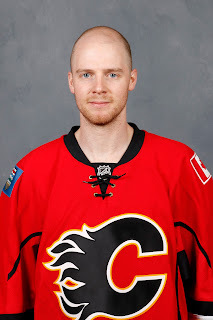 What's interesting though is Stajan has won just 8 of 23 (34.8%) when shorthanded. Losing draws in your own zone often leads to the opposing team being able to set up immediately so perhaps this a contributor to Calgary's miserable penalty kill. On the flipside, Backlund has been excellent on shorthanded face-offs winning 19 of 32 (59.4%). Predictably, Monahan has taken the most face-offs on the power play -- 45 compared to nine for Backlund, who is next on the list. His 55.6 percentage is good, but it's safe to say it's not translating to goals quite yet. It's been a very healthy start to the season. The only games lost due to injury have all belonged to Ladislav Smid. Considering it was stated before the season that he would not play this year, I view the injury number as essentially zero. 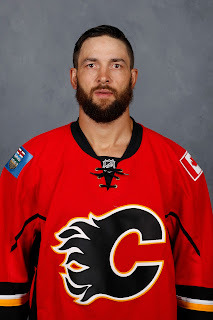 By comparison, after 10 games last year, the team had already lost 31 man-games to injury with six players missing time -- Lance Bouma (leg, 7), Ferland (lower body, 3), TJ Brodie (hand, 9), Smid (neck, 6), Joe Colborne (thumb, 5) and Sam Bennett (upper body, 1). This run of good health has enabled the team to get away with carrying only one extra forward. The team's iron man streak will eventually come to an end, likely sometime in November in which they have a busy schedule with 16 games, 11 of them on the road. 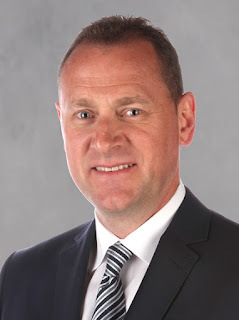 For those late training camp cuts that are in Stockton and have gotten off to good starts down there -- guys like Hunter Shinkaruk (4-2-6 in 6 gm) and Garnet Hathaway (3-2-5 in 6 gm), they'll need to be patient as they await an opportunity. A focus since Gulutzan arrived has been on improving the team's puck possession numbers. For those that don't know, this is not calculated by stopwatch, timing how long Calgary has control of the puck. Instead, the NHL advanced stat that is generally viewed as a proxy for having possession of the puck is shot attempt percentage (SAT%). This is a ratio of shot attempts produced versus surrendered while at even-strength. This is also often referred to as Corsi. In its enhanced stats, the league also breaks down SAT% into different game situations. Given teams will typically play differently when they have a big lead (more safer) or are behind by a few goals (more desperately), SAT% Close is the number most look to as that only calculates possession in games when the teams are within one goal, or when the score is tied in the third period. So far this season, Calgary has shown modest improvement. Their SAT% of 48.8 ranks them 19th in the NHL. That percentage is the highest it's been in the last six seasons. Last year the Flames ranked 26th (47.07) and the season prior in their improbable return to the playoffs, they finished 28th (45.25). For individual players, there are multiple factors that can influence one's SAT%. If for face-offs, you're often starting in your own end, those defensive zone starts can create a drag on your percentage. Meanwhile, the opposite can be true if you're the beneficiary of a lot of offensive zone starts. Even more influential is the calibre of players you're out against. For guys like Backlund and Michael Frolik, who often draw those very tough assignments like checking the Alexander Ovechkin line on Sunday, it's only natural that their SAT% will be lower. Gulutzan remarked last weekend that in addition to the Backlund line, he also likes to use Stajan's line as a shutdown line and you can see why. Imagine getting a 45-minute power play in a game and failing to score. That is essentially what it's been. Calgary has been absolutely dreadful on the man advantage at home, skunked in all 24 attempts so far which have added up to a combined PP time of 44:42. They are the only team without a power play goal on home ice and that's in six games. Only Vancouver (7) has played more home games. Over that period they have mustered only 27 shots too, which isn't nearly enough when you have an extra player on the ice. In the last two games in particular? One measly shot in eight minutes of power play time. Meanwhile, the Flames also hold the dubious distinction of having given up the most power play goals on home ice. They've gone on the penalty kill 27 times and have been scored on 10 times. Yikes! The net of minus-10 is by far the worst ratio when playing in front of one's own fans. Next on the list is Ottawa and Toronto (minus-3). Chicago (minus-2) is fourth. Leading the league is Nashville with a differential of plus-5 in three games at the Bridgestone Arena. Next at plus-4 are Montreal, Philadelphia and San Jose. Seems the Flames will have their work cut out for them when they play the Sharks at the SAP Center on Thursday. Calgary has been shorthanded more often than any other team this season. This is not news if you've been following the team and it's an issue Gulutzan is trying to address. Against Ottawa last Friday, he sat Kris Versteeg, Bennett and Matthew Tkachuk for close to a full period for taking undisciplined penalties earlier in the game. 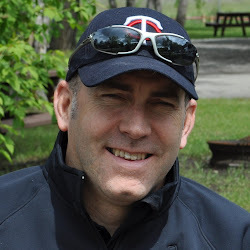 It is the polar opposite to the discipline this team was known for under Bob Hartley. Two years ago, the Flames were shorthanded the fewest times (186) and last year, they were sixth-lowest (233). When you mix in a penalty kill that isn't getting the job done, Calgary ranks 28th at 72.1 percent, you have a recipe for failure. The Flames need to take fewer penalties and need to get much better at killing the ones they do take. Puck management has been one of the most talked about expressions with Gulutzan, and among fans also. For much of the season, Calgary players have been handling the puck like it's radio active waste on their stick. While giveaways are a subjective stat that may vary in off-ice officials' interpretation from city to city, it will still tell us in general how good or bad teams have been at holding onto the puck and making the safe play. Thus far, only two teams have been more charitable than the Flames and their 104 giveaways -- San Jose (110) and Montreal (105). The worrisome thing is it could have been worse too. The Flames had an alarming 75 giveaways in the first six games, which was an average of 12.5 per game. That number is why so many jaws hit the floor when they went into Chicago and St. Louis, two intimidating buildings, and shockingly turned the puck over just four times in each of those two contests. Leading the way individually with a dozen turnovers is Gaudreau. While that number may seem concerning, it's actually consistent with where he was at last year too. When you handle the puck a lot like he does, you're going to turn it over sometimes. That just comes with the territory. 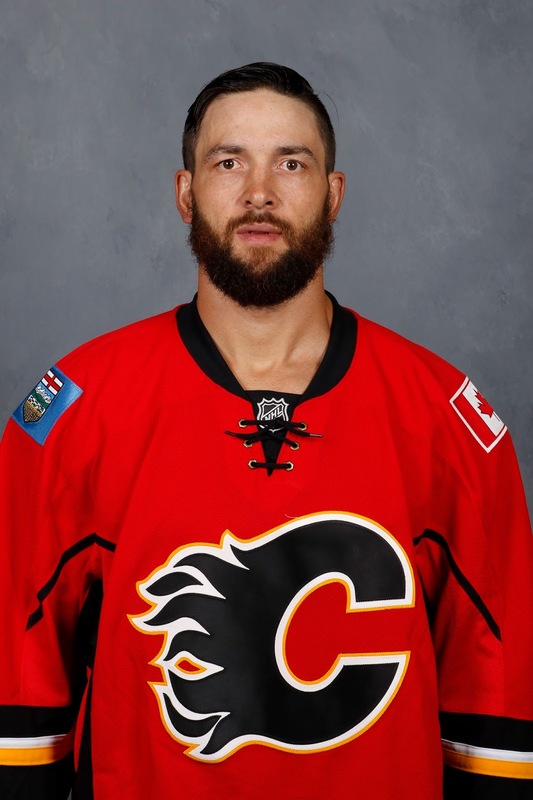 Second and without the same excuse though is Engelland (9). Tied for third are Backlund and Monahan (8). 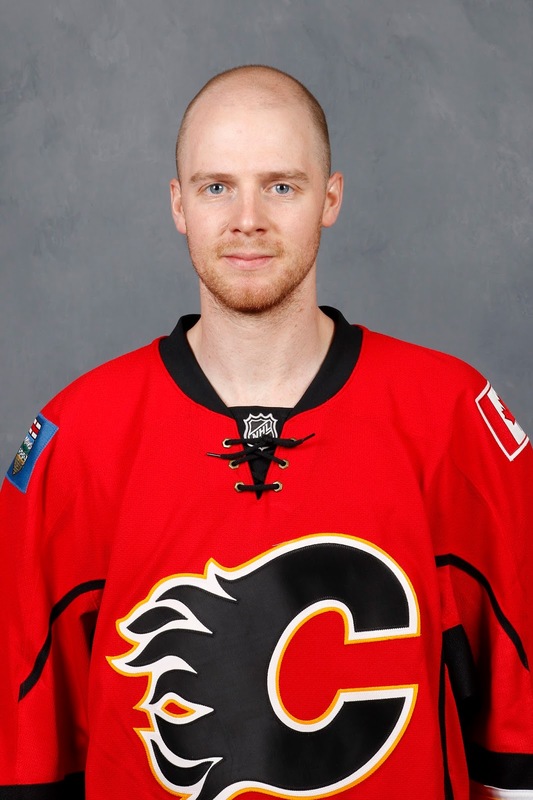 At the other end of the spectrum, the player least prone to coughing it up so far and has been Stajan (1). Bouma and Troy Brouwer (2) are next best. Overall, the team is getting better but there's still a long way to go.